Contact Palmetto Personal Injury Lawyers Gerson & Schwartz, P.A. The city of Palmetto received its name from the palmetto trees at the original city site. The founder of Palmetto, Samuel Sparks Lamb, called "The Father of Palmetto" is said to have arrived in 1868. The city of Palmetto has come a long way since 1868. It has since traded in its palmetto trees for some of the nations best golf courses and resorts. Every year people come far and wide to take in our sights and tour the Palmetto National Park, Gamble Plantation Historic State Park, and the South Florida Museum. Unfortunately, even in visiting a place as beautiful as Palmetto you can be injured. If you have been injured in a Palmetto, Florida accident, it is important to understand your rights. 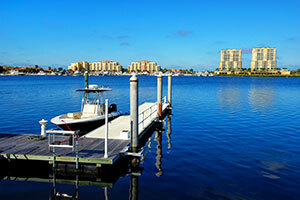 At Gerson & Schwartz, our Palmetto Personal Injury Lawyers work with injury victims throughout the Palmetto area. To schedule a free consultation with one of our lawyers, call our office today at (877) 475-2905 or reach out by sending an email through our online contact form. In the case that your loved one has died as a result of a personal injury, you may be able to seek compensation in a wrongful death action. Automobile Accidents: This is considered the most common type of personal injury claim. Automobile accidents are usually on the basis of negligence, meaning that you are suing on the basis of the other drivers' wrongdoing or carelessness. Slip and Fall: Slip and Fall accidents are another common personal injury claim based on the theory of premises liability. Medical Malpractice: Where carelessness involved a doctor, you might have a claim for medical malpractice. Products liability: Where the harm is caused by a defective product, you might have a claim for products liability. The severity of your personal injury is measured by the type of injury, the length of time it will take you to the recover the cost of your past and future medical bills. Some injuries do not start to show symptoms until sometime after the occurrence, so it is important that you seek medical attention immediately after showing your first symptom. In Florida, time is of the essence, meaning there is a deadline for filing your lawsuit, in pursuing your case, so it is important that you seek an attorney immediately following your accident. Do not delay. Filing a personal injury claim against an insurance company by yourself, although possible, can be an incredibly complicated process. Sifting through the paperwork, learning the procedures, countless hours of research, negotiating with the adjusters, preserving the evidence, and arguing your case can be incredibly difficult without an experienced attorney on your side. This is particularly important when you are up against larger insurance companies that have the resources to employ more lawyers and investigators. It also helps to have an attorney handling these matters for you while you tend to matters such as the well being of yourself and your family. You want an attorney who will advocate for you. Florida law gives injured victims a short window to bring a lawsuit. 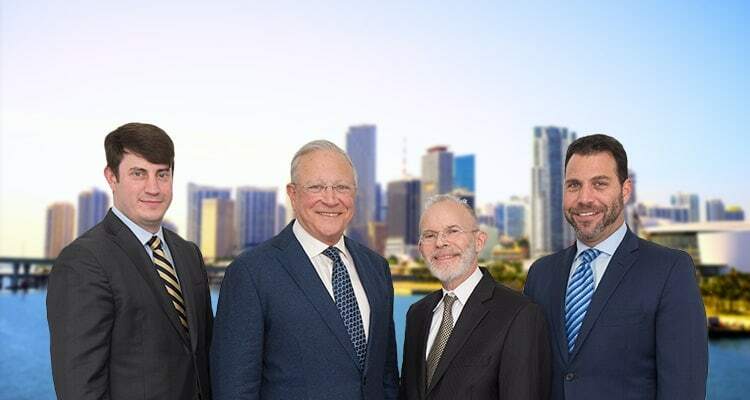 The personal injury lawyers in the Palmetto at Gerson & Schwartz are here to help. The lawyers at Gerson & Schwartz are a first choice firm in the Palmetto community for this reason. We offer all our clients free consultations and personalized service. Reach out and call today at (877) 475-2905 or through our online contact form.